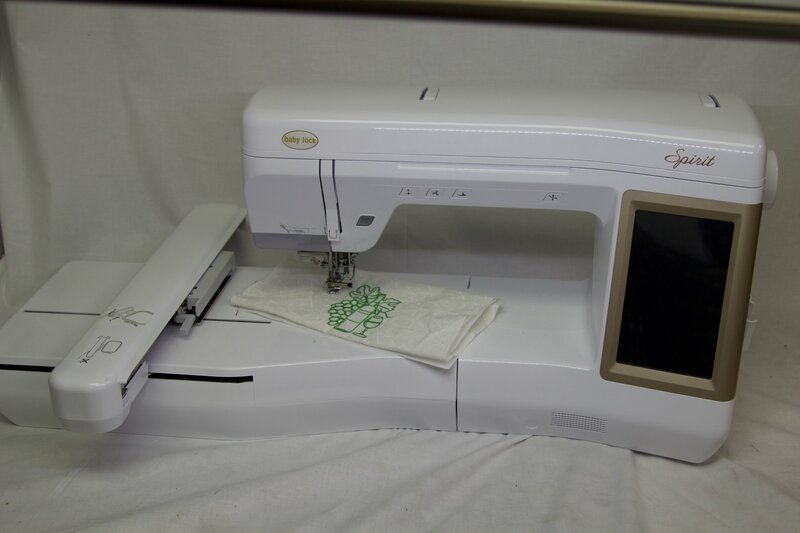 The large, color LCD vividly displays embroidery designs, and makes it easy to change your machine settings. This screen measures 7" diagonally and shows up to 260,000 colors so you will know what your designs really look like before you sew. Use the Sensor Pen to assign the design positioning and placement. Simply touch the fabric with the Sensor Pen and the Spirit knows where to place the design. The Spirit comes with 2 USB drives to enhance your embroidery experience. Import designs from your own collection by connecting your computer or a USB flash drive to the Spirit. Your embroidery is illuminated 10 inches around the needle, so you’ll clearly see every detail of your finished design. Plus, you won’t have to worry about changing bulbs with these long-lasting, bright LED lights. The NeverMiss™ Automatic Needle Threader does exactly what it promises. It's never been this fast or easy - the Spirit threads your needle with little more than the push of a button. Convenient push-button features give you more freedom to focus on your embroidery. Raise and lower the needle or presser foot, cut threads, and thread your needle with the push of a button. Pair this with a large workspace (11.25" to the right of the needle) to accommodate bigger hoops, and you're ready for easy embroidery of all sizes. The top-loading bobbin is jam-proof. The quick-set bobbin puts the thread right where you need it.